(Third viewing, On DVD, April 2017) There are many reasons why I shouldn’t like Close Encounters of the Third Kind. It’s a bit too cozy with bunk-science UFOlogy, for instance, and the plot (especially in its first half-hour) falls apart as soon as you look too closely. It’s long, meandering, is far too fond of weirdness for weirdness’ sake and the “goodbye kids, I’m going to space” ending leaves a sour taste in my mind. (Although Spielberg has, since becoming a father himself, recanted that ending.) On the other hand, most of these reasons are why Close Encounters of the Third Kind still works fantastically well today. Even forty years later, it still stands as a well-executed take on the well-worn first contact scenario. It’s a film that plays heavily on pure wonder, which remains an all-too-rare emotion in Hollywood cinema. It tricks our point of view (our hero is justifiably mad from any other perspective than his), is comfortable in blue-collar suburbia, paints aliens as benevolent (if unknowable) and spends no less than a final half-hour in a nearly wordless light-and-sound show. It’s also a movie that’s unusually emotion-driven: it doesn’t always make logical sense, but it’s certainly effective at creating suspense, awe or surprise. 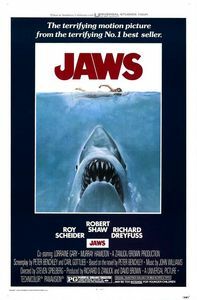 As flawed as it is, it remains one of Steven Spielberg’s best movies. The special effects of the 1998 Director’s Cut are still convincing (well, except for some of the alien shots), the seventies period detail is now charming (even the reliance on UFOlogy lore now seems less and less harmful), Richard Dreyfuss makes a great next-door-neighbour protagonist, and it’s kind of cool to see film legend François Truffaut in a strong supporting role. 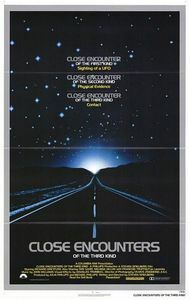 I recall my parents discussing Close Encounters of the Third Kind with their friends once it hit television broadcast, along with my own memories of sequences such as the five tones, first backroad pursuit and, of course, the ending sequence which was completely enigmatic as a kid. 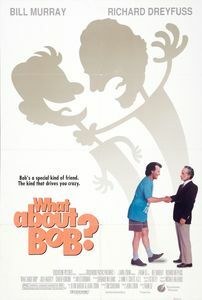 I saw it again as a teenager and kept a good memory of the experience. So I’m very pleased to confirm, decades later as a middle-aged adult, that the film more than holds up as a SF classic.